1. Ronda Rousey To Be The First Female Hall Of Famer In UFC. Ronda Rousey might be fighting in the WWE now, but there’s no denying the impact she had in propping up the women’s division of UFC with her incredible run atop the fighting world. That impact will now be immortalized in the league’s Hall of Fame. Rousey will enter the UFC Hall of Fame’s Modern Wing in a ceremony on July 5 at the Palms Casino Resort, the league announced on Saturday. Once UFC’s first women’s champion, Rousey will now be its first female Hall of Famer. Over the course of her five-year career in MMA, Rousey compiled a record of 12-2 and began her career with 12 dominant wins. 11 of those wins came in the first round and nine of them didn’t go past the first minutes. For most of her career, Rousey was unstoppable, constantly her opponents to submit with her signature armbar. Her MMA career ended on a sour note with back-to-back losses to Holly Holm and Amanda Nunes, but her career was the primary building block of UFC’s women’s divisions. 2. India Bags 3 Medals At Umakhanov Memorial Boxing Tournament In Russia. India’s Saweety Bora (75 kg) emerged as the sole gold medal winner from India while in the men’s department Brijesh Yadav (81kg) and Virender Kumar (91kg) suffered heartbreaks in their respective finals at the Umakhanov Memorial Tournament here June 12. Saweety started off well but her opponent, Anna Anfinogenova from Russia, fought tooth and nail to keep the bout evenly contested. But the Indian sportswoman retained the upper hand to emerge victorious with a split decision and win the gold medal. However, in the men`s division, Brijesh couldn`t cope against his Russian opponent Rabadanov`s quickness and settled for silver. Rabadanov towered over the Indian with his punches and beat him 5-0. Virender also suffered the same fate as his compatriot and settled for silver after being defeated by A. Bwambale of Sweden by a similar margin. Earlier, three Indian women — Pinki Rani (51kg), Shashi Chopra (57kg) and Pavitra (60kg) — and Gaurav Bidhuri had reached the last four-stage but lost their respective bouts to settle for a bronze medal. The Indian contingent amassed a total of seven medals which included four bronze, two silver and a lone gold by Saweety. 3. French Open 2018: Complete List Of Winners. The 2018 French Open, also known as Roland Garros, was a Grand Slam tennis tournament played on outdoor clay courts. It was the 122nd edition of the French Open and the second Grand Slam event of 2018. It took place at the Stade Roland Garros in Paris, France, from 27 May to 10 June and consisted of events for players in singles, doubles and mixed doubles play. Junior and wheelchair players also took part in singles and doubles events. 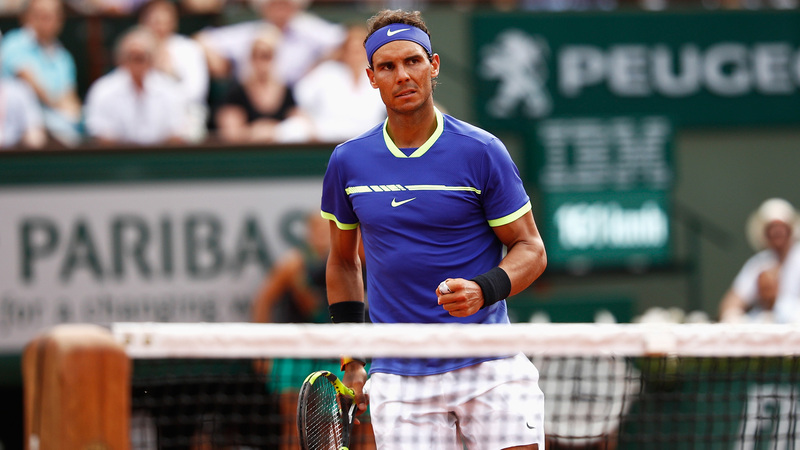 Rafael Nadal was the defending champion in the Men`s Singles and won his 11th French Open title. Jelena Ostapenko was the defending champion in the Women`s Singles but lost in the first round to Kateryna Kozlova. Simona Halep won her first Grand Slam title. It was also the first French Open since 1992 that both the men`s and the women`s singles competitions were won by the top seeds. 4. United States, Mexico And Canada Win Right To Host 2026 World Cup. The bid to bring soccer’s World Cup back to North America in 2026 was hatched in a Vancouver restaurant, announced in a New York City skyscraper and scrutinized by FIFA inspectors inside Mexico City’s cavernous Azteca stadium. It was sold in countless other cities — Jakarta and Bangkok, Copenhagen and Lisbon, Jidda and Johannesburg — by officials from the United States, Mexico and Canada soccer federations who had teamed up in an unprecedented effort to share the world’s most-watched sporting event. And on Wednesday in Moscow, the campaign finally ended when voters — persuaded by promises of record crowds, record revenues and, perhaps crucially, a record $11 billion in profit for FIFA, world soccer’s governing body — awarded the hosting rights to the 2026 World Cup to a combined bid from the United States, Mexico and Canada. The three countries will bring the tournament to North America for the first time since 1994, with the majority of the matches, including the final, being held in the United States. The North American bid routed its only challenger, Morocco, by a vote of 134 to 65, after which members of the winning delegation leapt out of their seats to embrace one another, pump their fists and celebrate the end of a frenzied few weeks of final lobbying. 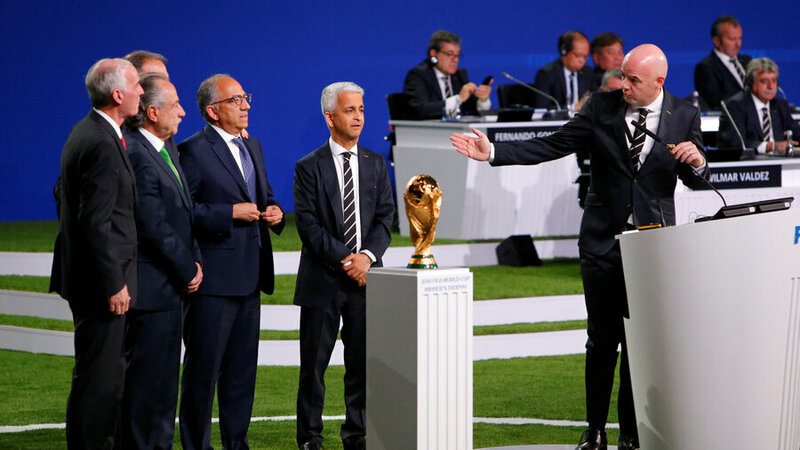 Carlos Cordeiro, the president of U.S. Soccer, wiped away tears before making a short speech in which, with his voice trembling, he thanked FIFA’s membership for “the incredible privilege” of hosting the World Cup. 5. Smriti Mandhana To Become 1st Indian To Play In England`s Kia Super League. India Women’s Cricket team opener Smriti Mandhana will become the first Indian player to appear in Kia Super League – the women’s cricket super league in England. Smriti was signed by Western Storm and will represent them in the upcoming edition of the tournament that features six teams. The 21-year-old India opener has scored over 826 runs with the highest score of 76 in the 40 T20Is that she has played so far. Last month, she captained the IPL Trailblazers in the recent Women’s T20 Challenge, which took place ahead of the VIVO IPL Qualifier One. Smriti has also featured in the Big Bash League for Brisbane Heat.